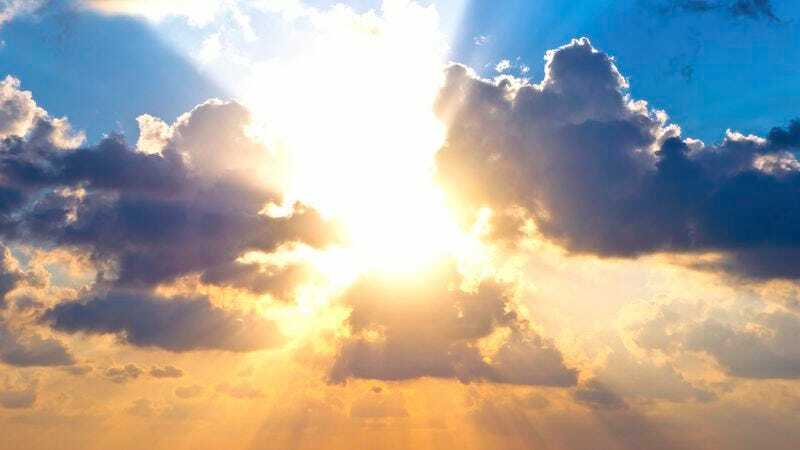 THE HEAVENS—Saying they were reluctant to make the change but that budget pressures left them no other choice, divine sources announced Tuesday that the traditional promise of salvation would be reduced from eternity to 500 billion years. “To help us meet the rising cost of maintaining Heaven as a lavish kingdom of perfection for all penitent souls, we will now be limiting believers to afterlives consisting of half a trillion years, an amount of time we still feel is quite generous,” Archangel Michael stated at a press conference revealing the changes, which are set to go into effect immediately and apply to all God-fearing peoples who are currently alive, previously deceased, and yet to be born. “We want to assure all those who have lived virtuous, righteous lives that they will see no dilution in the legendary splendor and magnificence of the Heavenly realm, and that the only difference they will encounter is the new cap on the duration of their stay in paradise.” The Archangel added that divine officials would ensure that all redeemed souls would be painlessly extinguished into oblivion once their 500 billion years expired.